Travel through a land with creatures of immense diversity. Explore underground regions and the over world. Destroy, or build. It's all in the role of the die. In this world, there is Magic, and as such, everything can be identified as a color. 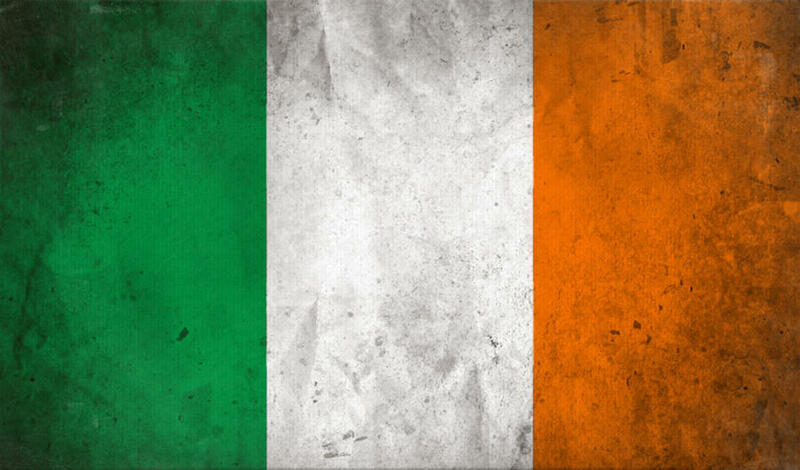 There are five: black, white, green, red and blue. For text purposes Black is written as Purple. In general, while we will be traveling, each area can be broken down into a basic environment: the green forests, the red mountains, blue islands, white plains, and black swamps. Each region's inhabitants tend to keep of similar values and culture, and your creatures will be of similar stature. Race: Here you may provide your species. While you are expected to pick something from here, feel free to try something not listed. Even non-humanoids are allowed. Role: Basically your subclass if you got one. So if you're a basic fighter, this is where you'd put something like soldier, archer, or scout. 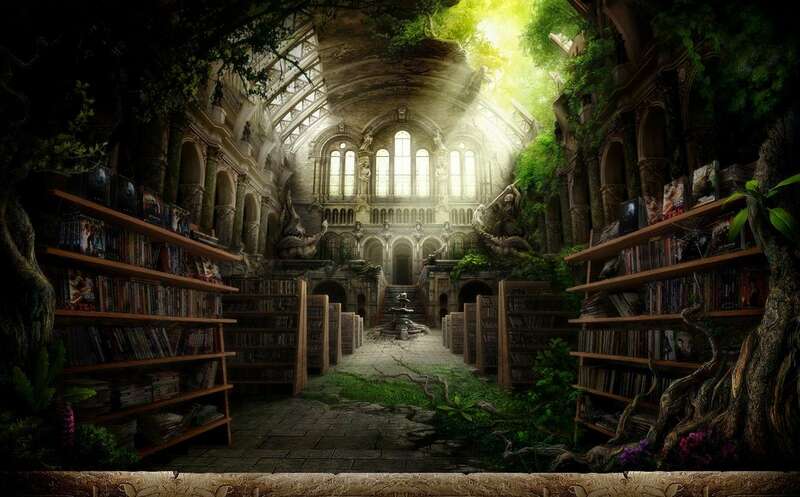 If you're a wizard, are you a scholar or mage? Weapons: How would you kill opponents? Extra Skill: This is where you'd mention if your character can fly, drink blood, or whatever. Appearance: Totally optional, at least try to mention what your race basically looks like if you don't want to find a picture. "The turning of the tide always begins with one soldier's decision to head back into the fray." "find out what's under the armor"
"looks Human, but unless you see under armor..."
Light's Lamentation "A divine blade that cannot be destroyed and is rumored to not only destroy flesh, but ones soul." Armor of Divinity "A heavy full plate armor with runes of protection carved on the inside along with magics cast on it to protect from evil." Cloak of Angels "A gift from an Archangel, it makes my character light on their feet and able to move fine in most situations." Sigil of Right "A glowing rune that hovers behind me at most times, can be used to form a powerful transparent shield. A sign of law and goodness to all." Interceptor "Gales mighty armored angelic mount. Comes when whistled for." Ability to tell when someone is lying, also can pick up scent of anything demonic. Check picture... if you wish to see more figure out how to get a peak under the armor. Speaks in a very monotone voice unless armor is off. Gale usually only takes off the armor in private. If needed to remove for repairs my character usually hides in shadows watching over repair. If healing is needed usually requests private recovery area or private room for treatment. If none available then I guess I'll figure that out when we come to that bridge. Role: Spellweaver. Caelum's active magics (offensive, barriers, ect.) are fairly basic, but he excels at strengthening himself and his allies, as well as weakening or eliminating enemy magic. More of a buff/debuff-type character than anything. His spells are all based on the Five Classical Elements (Earth, Air, Fire, Water, and Spirit). Rowan Staff- "A sturdy staff carved from the wood of a Rowan tree. Strengthens magic drawn from the Five Classical Elements when it is used to cast such spells. Said to bless travelers who carry it with good fortune. Also rather heavy, and makes a decent bludgeon when the situation calls for it." Athame- "A double-edged ritual dagger with a black handle, used to direct magical energies. Capable of channeling or disrupting magic, it is also used to draw ritual or binding circles and invoke elemental spirits for a casting. In the hands of an expert, an Athame can literally eliminate the ability of an enemy to cast spells, as it is capable of cutting apart the weave of magical energy that allows spells to form and holds them together. However, an Athame is incapable of drawing blood or injuring a living creature." 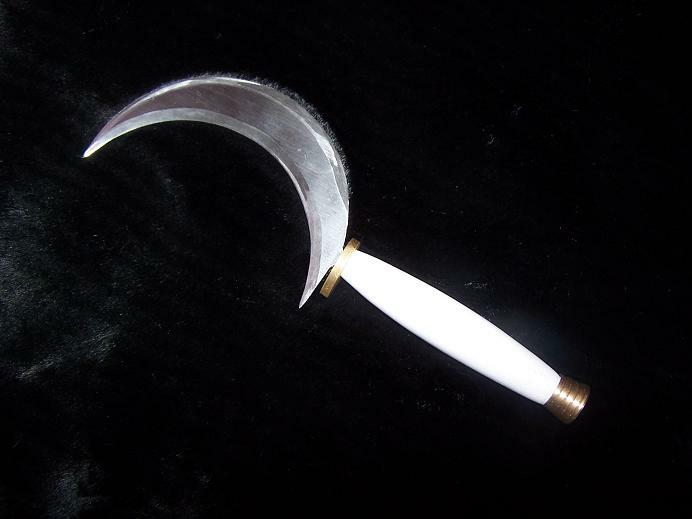 Boline- "A curved knife with a white handle in the shape of a crescent moon. The Boline is mainly used to cut up and crush herbs, as well as to carve candles or wood for ritual spells. It is often used to give final mercy to a being that is dying, but is not meant to be a weapon." Sundrop Crystal Pendant- "A teardrop-shaped gem made of crystallized sunlight. Keeps the owner warm even on the coldest nights, and gives a sense of comfort when magic is channeled through it. 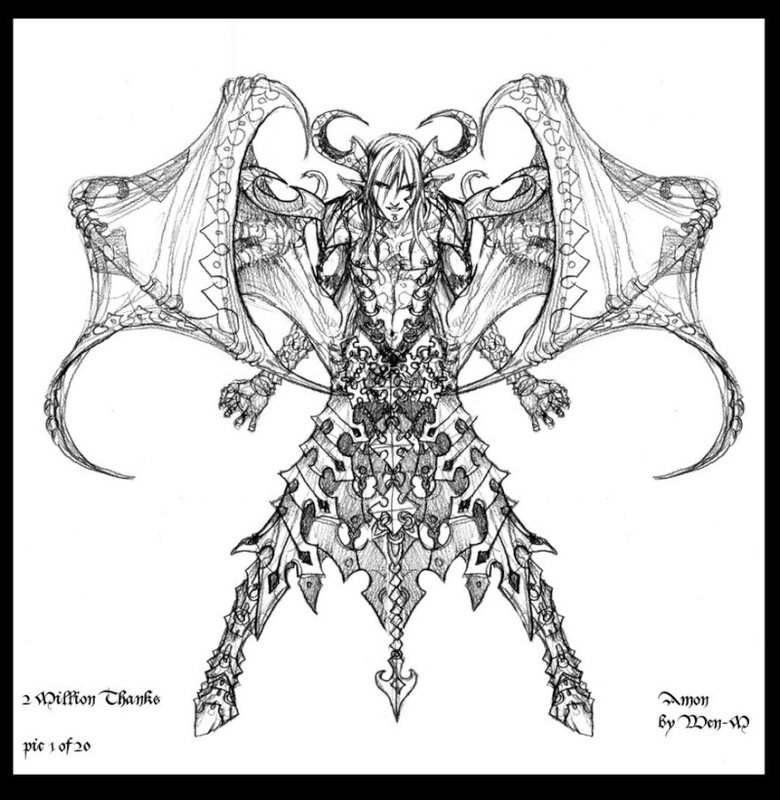 Given to Caelum as a gift from Terra." Extra Skill: Caelum is capable of fighting with his Rowan Staff as a melee weapon. He is skilled at making herbal medicines and curatives. Also a good negotiator, as he is very kind, understanding, and gentle, and can be very persuasive when he wants to be. Other: Terra is his half-sister, through their mother. The two of them are very close, and have a very deep bond with one another. He is older than Terra by about two years. Role: Mage. Terra is, first and foremost, a warrior. Her spells are all quite powerful, and she has amazing control over plant matter from her bloodline. Weapons: None. Terra doesn't need a focus to cast magic the way most mages do, her magic is literally in her blood. Her spells are very powerful, focusing on earth elemental attacks and barriers, though she has a few unique spells that make use of sunlight and heat. She is capable of freely controlling plants, making her extraordinarily powerful in a forest. She can also summon up a tree or other type of plant where there is none, but this takes a lot of energy. Finally, Terra is capable of "recharging" her energy by absorbing sunlight, though it is not a quick process. Nailah- "Terra's faithful spirit beast, Nailah is the first of two gifts she received from her father Dianthus. She takes the form of a massive Dire Wolf, and is summoned from her astral plane with a series of specific howls. Completely loyal to Terra, and cares for her like one of her own." See Terra's picture for image. Wooden Flute- "The second gift Terra received from her father. The flute is carved from a piece of wood from Dianthus' own body, and has an exquisite, soothing sound. When played, it calms the hearts of man and beast alike, though it will do nothing for those who are already enraged or have hearts filled with evil." Malachite Pendant- "A pendant of a malachite stone wrapped in copper decoration. 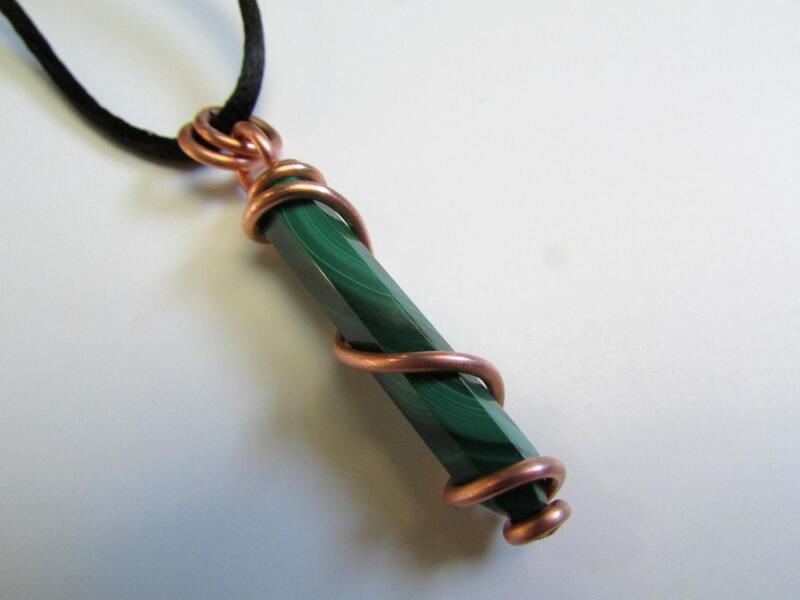 Malachite is known as a healing stone that increases in power when combined with copper, and this pendant has been blessed with strong magic. It chases away disease and keeps the wearer in good spirits. Given to Terra as a gift from Caelum." Extra Skill: Flute playing, of course. Terra is also capable of communicating with animals, though it varies how well from species to species. Other: Though she is usually quite calm and composed, Terra has an explosive temper, and she will often fly off the handle in response to wanton destruction of nature or needless killing. She adores Caelum, and trusts him unreservedly, though she is not so trusting of others, even if she knows they are good people. He is said to be able to tell the summoner of anything from the past or future, and that his main role, surprisingly enough, is to galvanize the forces of love and friendship and to encourage amnesty and reconcilement among friends.